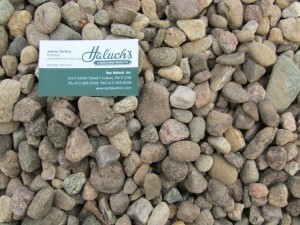 Most common size for landscaping stone is 3/4″, please see the colors we carry below. 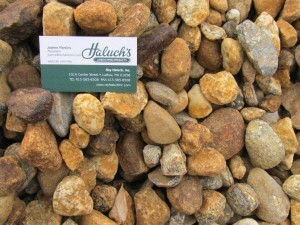 Rounded native river stone, screened through a 3/4″ size screen. 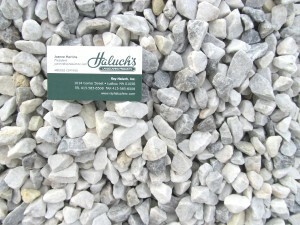 Mixture of white and light gray crushed stone, screened through a 3/4″ size screen. 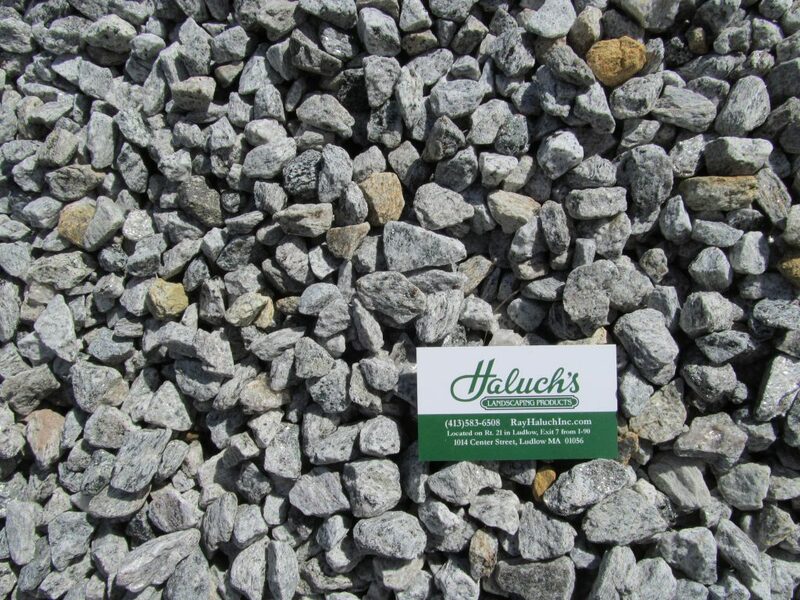 Crushed stone in shades of blueish gray, screened through a 3/4″ size screen. 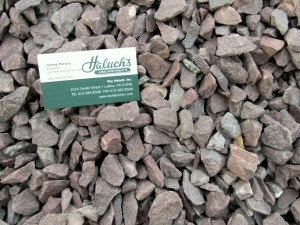 Crushed stone in shades of light and dark gray with a bit of sparkle, screened through a 3/4″ size screen. 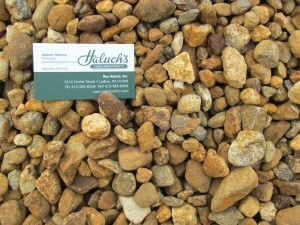 Rounded river stone in gold and brown tones, screened through a 3/4″ size screen. 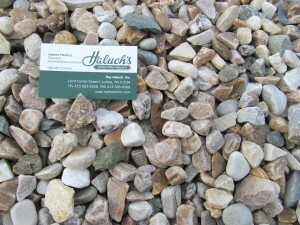 Mixture of beige, white, and gray river stones, screened through a 3/4″ size screen. 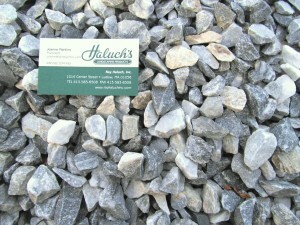 Crushed stone in a lilac-gray color, screened through a 3/4″ size mesh. 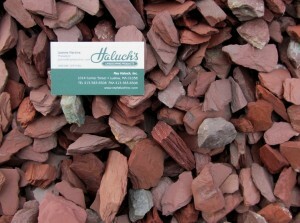 Reddish brown stone that resembles brown mulch, screened through a 3/4″ size screen. 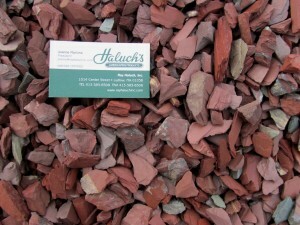 Red slate chips with bits of charcoal, screened through a 3/4″ size mesh. 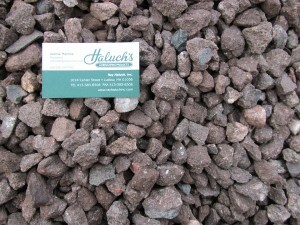 Also known as “lava rock” it’s a porous volcanic rock in bright colors. 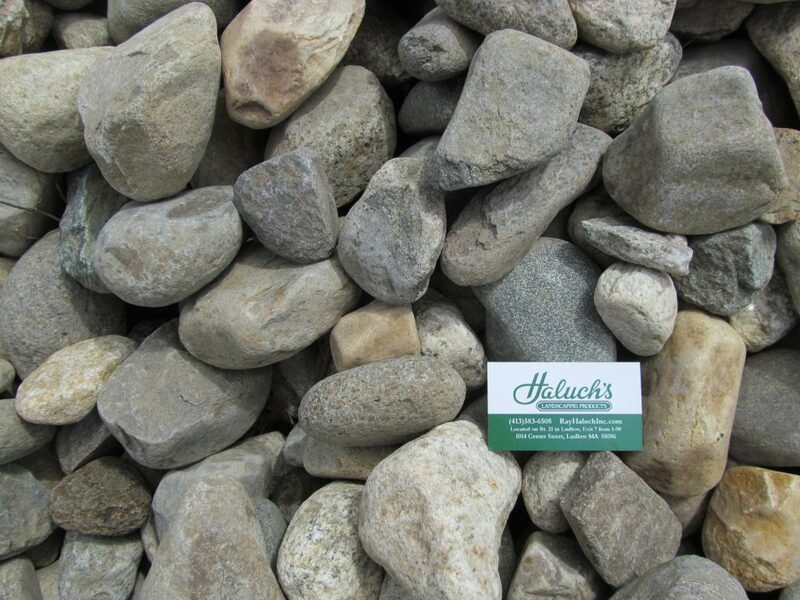 This section has stones that are screened through 1.5″ mesh or larger, they are harder to spread than the 3/4″ stone, but stay in place better and won’t budge under a leaf blower. 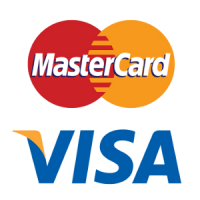 Rounded native river stone, screened through a 1.5″ size screen. 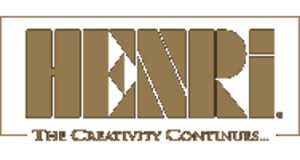 Rounded stone in shades of gold and brown, screened through a 1.5″ size screen. 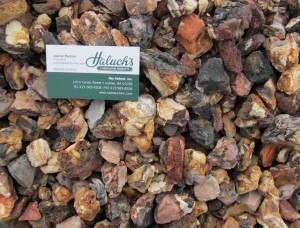 Red slate chips with bits of charcoal, screened through a 1.5″ size screen. 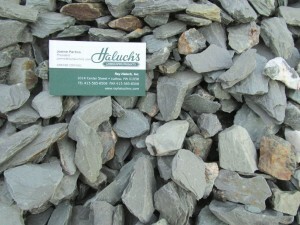 Greenish gray crushed slate, screened through a 1.5″ size screen. 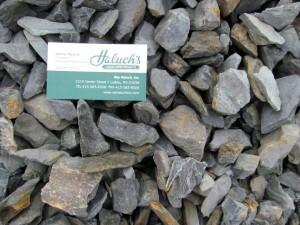 Dark gray, almost black crushed slate, screened through a 1.5″ size screen. 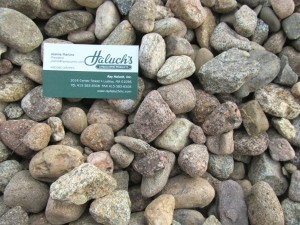 Rounded native river stone, often used for dry creeks. 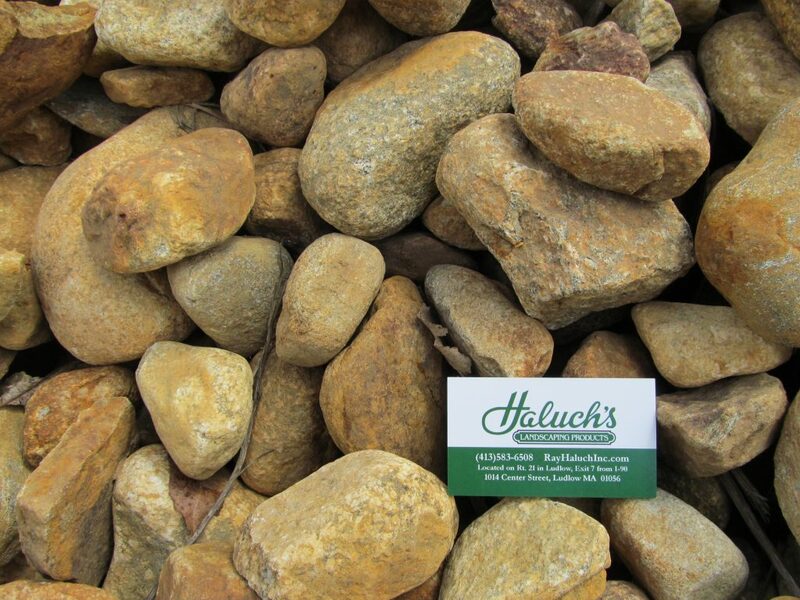 Very large rounded stone in shades of gold and brown, often used for dry creeks.